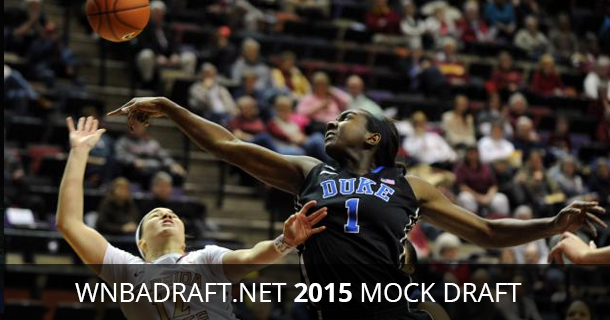 Home / WNBA / 2015 WNBA MOCK DRAFT IS HERE! The 2015 WNBA draft class is another great year with top talent and every team will have an opportunity to get better. Check out below to see our picks for this year and send us a email with what you think! Hi my name is miles there is a player in the bigwest conference name chante miles she is second in scoring in the bigwest avg 19 points a game and she ranked in the top 40 pleas take a look at her shes a sir and one of the best gard in the nation, she should be drafted in the top ten but so far she not drafted yet and she is 5foot3 but plays like she 66 and the school she play for is cal statefullerton in ca thanks pleas respond back thank you.